During The Beatles' first movie "A Hard Day's Night", John Lennon is asked how they found America. The reply, whether scripted or off-cuff, became legend, "we turned left at Greenland". However, for their only tour of Japan, which unfurled oh too briefly in the summer of 1966 they needed a slightly more northerly route. In the midst of the Cold War, Russian airspace was very firmly closed to anyone unable to say anything more than "Nyet", and jet range being less than today, flights would have to make a stopover in Anchorage, Alaska. Finally, landing at Haneda Airport in downtown Tokyo, this being more than a decade before international air travel became a lot more inconvenient with the opening of Narita, the four mop tops, wearing JAL happy coats that an air hostess had persuaded them to don at the last moment, they made their way into town to their home for five days at The Hilton Hotel in Akasaka. However, anyone who knows Tokyo knows that The Hilton is in Shinjuku, but that is a different story and only from 1983. Opening in 1963, the year before the 1964 Summer Olympics, The Hilton Hotel is now the Capital Tokyu Hotel sitting atop Hoshigaoka, however the venue commenced life in 1959 as the first international collaboration between Japanese and international developers, The Hilton Group. 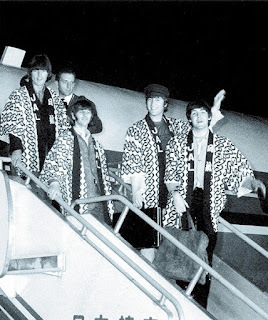 Locked in their rooms 24 hours a day, Paul made a break for it but was soon "redirected" by one of the 30,000 additional police drafted in to manage the sea of fans flocking to the Tokyo to catch one of the five shows over the next four nights. John made a rather more successful bid for freedom. Using a roadie's security card and figuring all foreigners look the same, he made it all the way to the International Bazaar on Omote Sando, some half hour's walk. Until he too was "redirected". Over four nights The Beatles played five sets to the screaming crowds of the Budokan. But for some reason the sets were limited to thirty minutes a piece, and the end of life on the road must have been in sight. 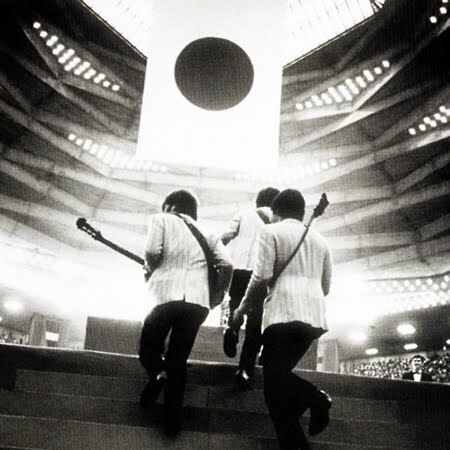 They never played Japan again as a group but individually visited many times over the years. McCartney is playing again in April this year, and this time I have a ticket for my son. And I'll be able to say to him "that's a Beatle. 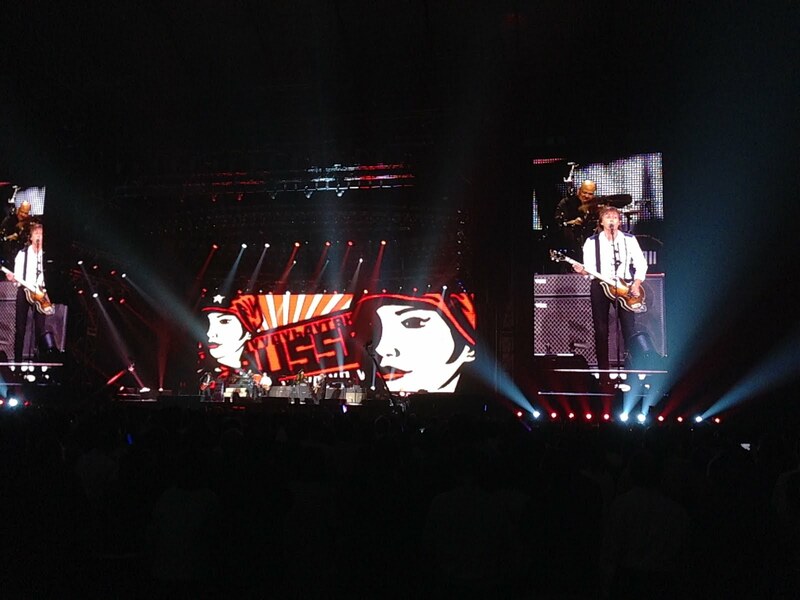 Back in Japan".